It’s big. It’s bad. It’s delicious. That’s right! It’s barleywine. One of the oldest beer styles still in existence, the first known recordings of a barleywine go all the way back to Ancient Armenia. 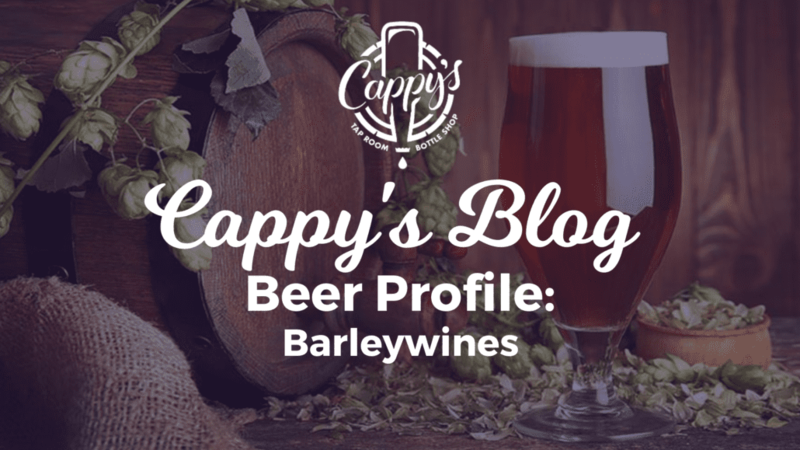 Despite it’s Armenian roots, the barleywine flavor profile that we’ve come to know and love first emerged in 15th century England. The English aristocracy wanted an alternative to wine that offered the same alcoholic strength, and thus the English barleywine was born! The first iteration of a packaged barleywine, No. 1 Ale from Bass Brewing Company hit shelves in 1870. Ranging from a golden hue to a dark amber, this style clocks in at around eight to twelve percent ABV, making it the perfect wintertime sipper. Packed with malty richness, dark dried fruit characteristics and caramel and molasses notes, it’s no wonder that barleywines have a cult-like following in the craft beer community. A perfect style for aging, after some time, these big beers take on a port-like flavor and vinous quality. And while the English barleywine has been around for centuries, the American barleywine didn’t hit the scene until 1976, when Anchor Brewing Company first released Old Foghorn. The most widely produced and largely known barleywine, Bigfoot from Sierra Nevada, followed shortly in Old Foghorn’s footsteps, hitting shelves in 1983. Like its English brethren, the American version also packs a punch at eight to twelve percent ABV. The biggest difference between the two versions is the assertive hop character that the American barleywines bring to the table. This balance of high alcohol and hoppy bitterness combine to leave a strong, long finish on the palate. Not as dark as the English version, the American barleywine ranges from light amber to a dull copper tone. Both styles make for great winter beers but the die-hard barleywine drinkers crack these open year-round, because, after all, #BarleywineIsLife. The Birth of a Hippo. The Birth of a Beer. She came. She swam. She conquered the hearts of Cincinnati! Fiona Fever didn’t just catch on in Cincinnati but spread across the globe. People followed her story of survival and fell in love with the teeny little premature hippo born in our very own backyard. Born on January 24th, 2017, Fiona was the first Nile Hippopotamus born at the Cincinnati Zoo in the last 75 years. With the average hippo birth weight falling between 55 and 120 pounds, Fiona clocked in at just 29 pounds at birth. And as teams from the Cincinnati Zoo and Cincinnati Children’s Hospital worked closely to ensure that the six-week premature hippo became stable, we all watched in anticipation – cheering her on! Located just a few miles from the Cincinnati Zoo and Cincinnati Children’s Hospital, Listermann Brewing Company’s Taproom was often frequented by employees of both companies, many of which worked directly in providing support and care to Fiona. The Listermann Crew often received first-hand updates of Fiona’s progress over a post-work pint. And one day, at the Dana Ave. Taproom, over a few pints of beer, the question was asked, “How can we help with Fiona?”. The answer to that question is now delicious hazy IPA history. Team Fiona was born. The Listermann Crew worked to conceptualize the Team Fiona beer and landed on a New England IPA for the project. 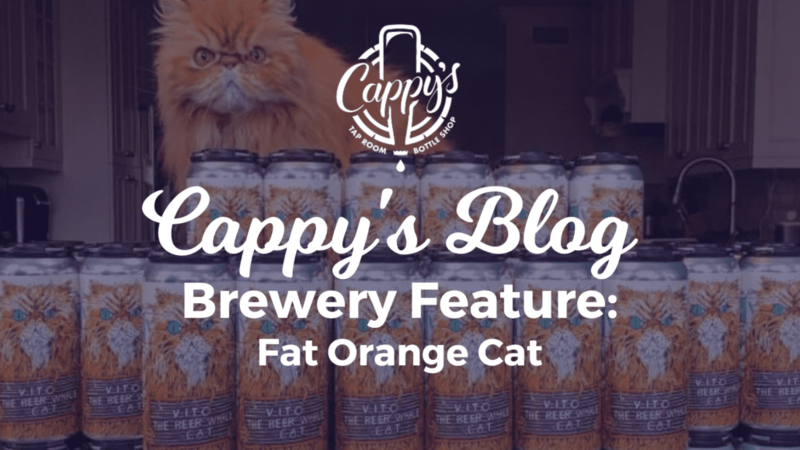 New England IPAs, named for their region of origin, are an approachable and popular style due to their lack of bitterness – a perfect choice for the masses. Late addition hops and less bittering hops are the secret to that super juicy flavor and aroma without the hoppy bitterness. Wanting to do something easily repeatable, the brewers at Listermann landed on Citra and Centennial hops for the first iteration, released on June 10th, 2017. 25% of proceeds were donated directly to the Cincinnati Zoo. Over time, the project has expanded and led to other beers created in Listermann’s Zoo Babies Series. Fast forward to 2019, it’s almost Fiona’s second birthday and she is weighing in at over 1,000 lbs! Listermann has brewed a number of Team Fiona beers including multiple variants for her First Birthday Bash. What has evolved since that question was first asked back in 2017? A lot. Team Fiona is now brewed and available year-round in Listermann’s taproom, mostly on draft and in crowlers, but more variants are on the horizon. 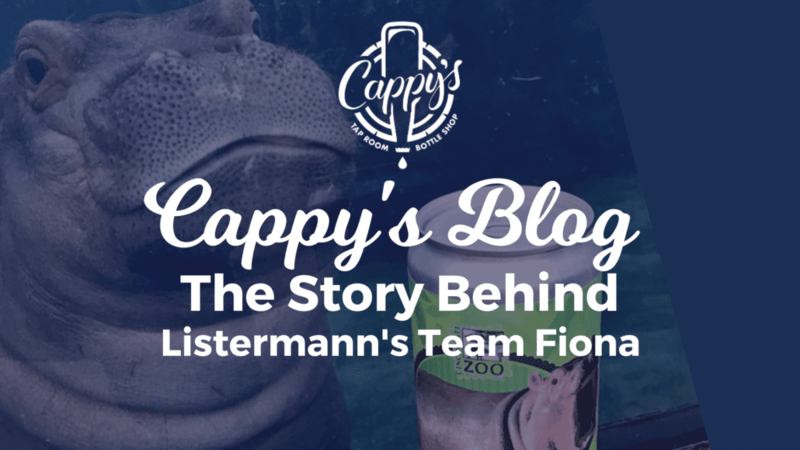 Listermann just released cans of Key Lime Team Fiona on 1/17 in celebration of her second birthday as a continuation of their support for the animals and hard-working staff at the Cincinnati Zoo. https://www.lovelandcappys.com/wp-content/uploads/2017/03/cappys_new_logo2.png 0 0 Kira Hinkle https://www.lovelandcappys.com/wp-content/uploads/2017/03/cappys_new_logo2.png Kira Hinkle2019-01-21 10:22:542019-01-21 10:22:56The Birth of a Hippo. The Birth of a Beer.